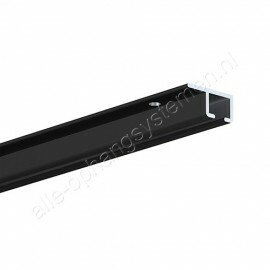 The Artiteq Top Rail is ideal to transform ceilings into an almost invisible art-hanging spot. The rail is specially developed for attachment to the wooden side-strip of the ceiling, which promotes the idea that the decorations are hanging from the ceiling. 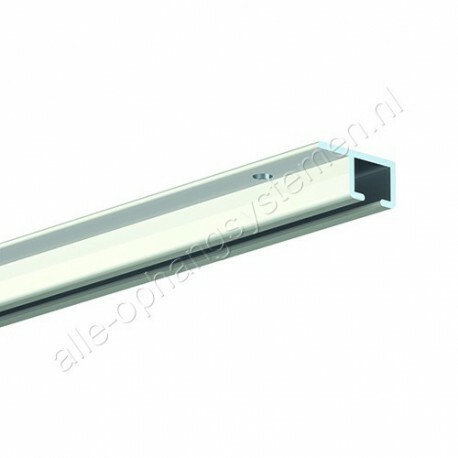 It is however also suitable to attach directly to any concrete ceilings. 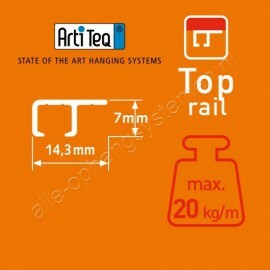 This Top Rail is 200 cm long and has a weight-carrying capacity of 20 kg per metre. It can be attached to the ceiling.